We offer our customers the opportunity to pre-credit balances into their own accounts, which you can view online using your own personal login details. This facility is purely for the customer’s assistance as we are aware that it takes times for funds to be moved over (especially considering US$) and you may wish to anticipate a purchase of physical metals at a price that best suits you. This credit balance will automatically push your purchase through and guarantee the price and delivery of your products. Please take note: if you credit us with a currency (example US$) then you will only be able to purchase in that currency (again US$). If you wish to convert your currency balance into another currency (of the 5 currencies we have on offer) then please contact us direct to request an FX rate conversion. Please make sure you email us directly with your plans. When you make your transfer it is very important that you send us an email at info@indigopreciousmetals.com with the details of your payment instructions so we can check the relevant bank for receivership of good credit. Please quote your customer email on your account, in the reference field on your payment instruction. 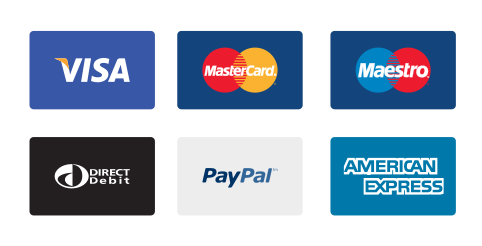 We are now accepting credits from a number of different credit cards and debit cards, through our payment gateway with PayPal. We will only accept credits received through PayPal to a level of 10% of the total invoice - to lock in the price of the metals and confirm the trade. Further payments can be made by direct bank transfer. Please take note: All funds received through PayPal come with a surcharge of 4.4% (which is charged by PayPal to us), hence any credit received will have 4.4% deducted.The adjusted credit will then automatically be credited to your specific account via your email address login details.